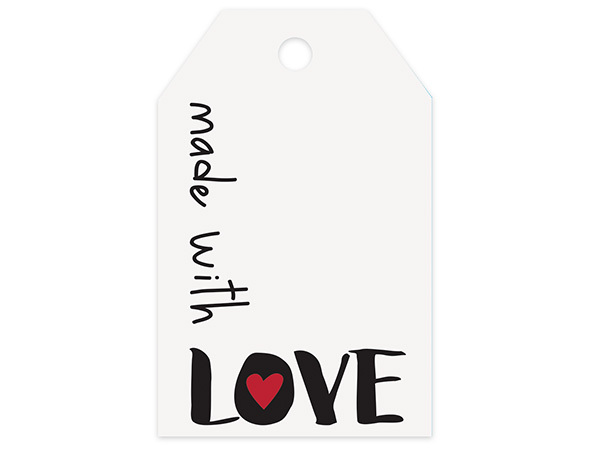 Made with Love Printed Gift Tags 2-1/4x3-1/2"
Buy More Gift Tags Save More! Made with Love die cut gift tags with hole for ribbon. Add your own string or ribbon (not included). Made in the USA. Great for use on your gift baskets, gift bags, and wrapped gifts. Tags have pre-punched hole for attaching to gifts with ribbons, raffia or twine!